I must agree with Ken Burns that our National Parks are America’s Best Idea. 100 years since the founding of the National Park Service (2016 is the centennial), more than 400 locations throughout the United States and its territories have become National Parks. Each one of these wonders offers citizens of the world the chance to explore nature, absorb the local history and marvel at amazing vistas. 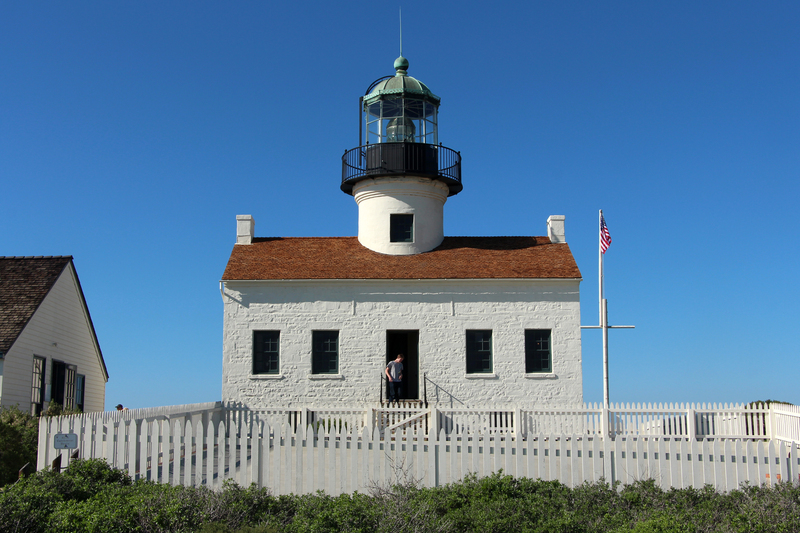 For more than 100 years, Cabrillo National Monument has offered locals and visitors the chance to explore the natural, historical and cultural history of the San Diego area. 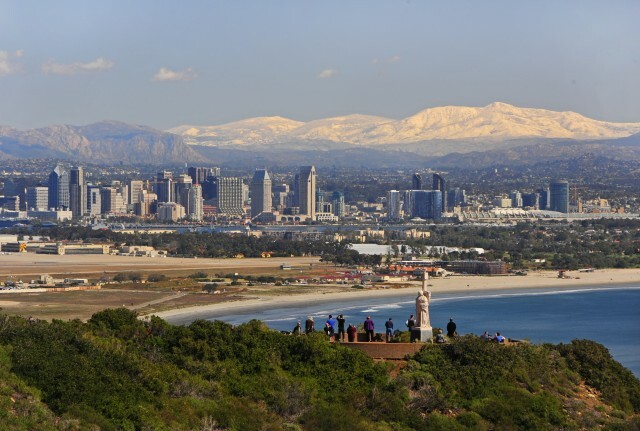 In honor of the Find Your Park initiative and National Park Week, I invite you and your family to spend a day wandering through San Diego’s Cabrillo National Monument. Almost every National Park visit starts off with a stop into the Visitor Center for everything from park maps to tour registrations to souvenirs to the pre-hike restroom break. Take some time to explore the world of Juan Rodriguez Cabrillo by walking through the “Age of Exploration” exhibit. Inside the exhibit, you will find relics, replicas and information of everything from the tools used and uniforms worn by the men aboard the historic San Salvador ship to the local population of Kumeyaay Indians. There are also a few short documentary films shown throughout the day covering Cabrillo, the park, and gray whales. 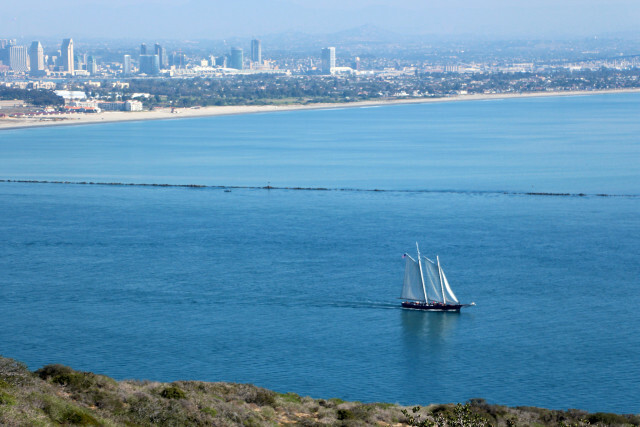 After your history lesson, head toward the statue of Cabrillo located behind the visitor center and take in the million dollar views of the bay, Coronado and Downtown San Diego. On a clear day, you can see all the way south to the mountains near Tijuana, Mexico. Make sure your camera is ready! Next up is the Old Point Loma Lighthouse just west of the Visitor Center. The structure itself has been painstakingly restored to its 1880 appearance. Step inside and back in time to see how the family maintaining the lighthouse lived. If you consider yourself a bit of a shutterfly, make sure to take a picture from the first floor of the winding stairs that lead up to the top floor of the lighthouse. Learn more about the work required to maintain the lighthouse and get an up-close view of the actual light that guided ships into San Diego Bay in the lighthouse history exhibit located in the adjacent Assistant Keeper’s Quarters. 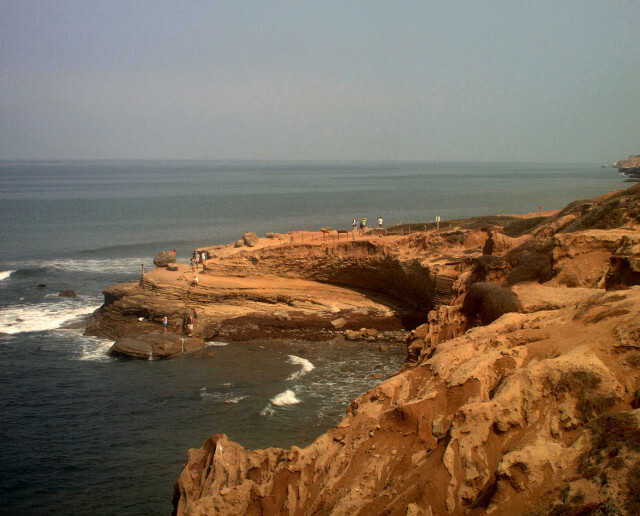 Since you’re spending the whole day exploring Cabrillo National Monument, make sure to enjoy the 2.5 mile roundtrip hike on the Bayside Trail. Along the trail you will encounter many of the same coastal sage scrub and flora that Cabrillo would have seen when he arrived in 1542. Also be on the lookout for World War I and II structures and bunkers built to protect San Diego Bay. Don’t worry if you or your little ones get tired, there are plenty of benches to relax upon while you take a break and bask in the views of the water and San Diego. After you finished your hike along the Bayside Trail or are done exploring the lighthouse, walk on over to the beautiful Whale Overlook for a amazing vista of the Pacific Ocean. 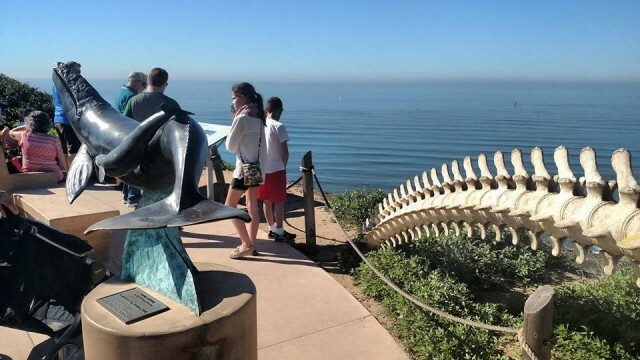 During the months of December and February (and sometimes through April), you can witness the majestic Pacific Grey Whales migrate past the shores of San Diego. There are a few coin-operated binoculars scattered throughout the overlook if you didn’t bring your own. When we visit with our son, this is our spot to break out the string cheese and enjoy some downtime while looking out over the water. The old radio building now houses the “The Stood Watch” military exhibit. Photo courtesy of CNM. Last stop on the list for the main Cabrillo National Monument area is the They Stood Watch military exhibit. 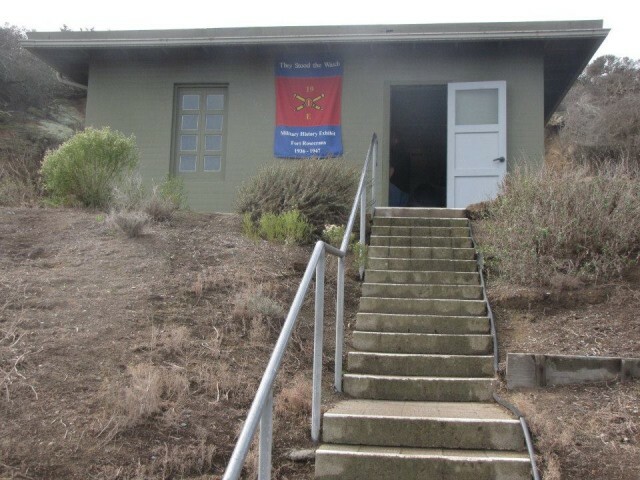 Located in the historic radio station building, the exhibit shares the stories behind the remains of the now abandoned bunkers, fire control stations and gun batteries built around the peninsula to defend the bay starting in 1852 and continuing through World War II. If you and/or your kids still have energy, take the short drive down to the western edge of the park for amazing tidepools. During periods of low tide, pools form along this shore in rocky depressions. You may see flowery anemones, elusive octopi, spongy deadman’s fingers, and a myriad of other creatures. Please be careful and respectful while you visit the tidepools. The intertidal area is a very sensitive ecosystem. Few animals in this ecosystem can harm humans, but many animals are delicate, and can even be killed, when handled or just touched by humans. Ask a ranger or volunteer how you can best explore the tidepools without harming them. While National Parks are already a great deal, a few days and weekends a year the National Park Services opens the gates and invites everyone to explore the beauty and history of America’s Best Idea for free. This entry was posted in Attractions and tagged Point Loma by Brent Bernasconi. Bookmark the permalink.